Do I even need to type any kind of explanation here? That picture says it all. 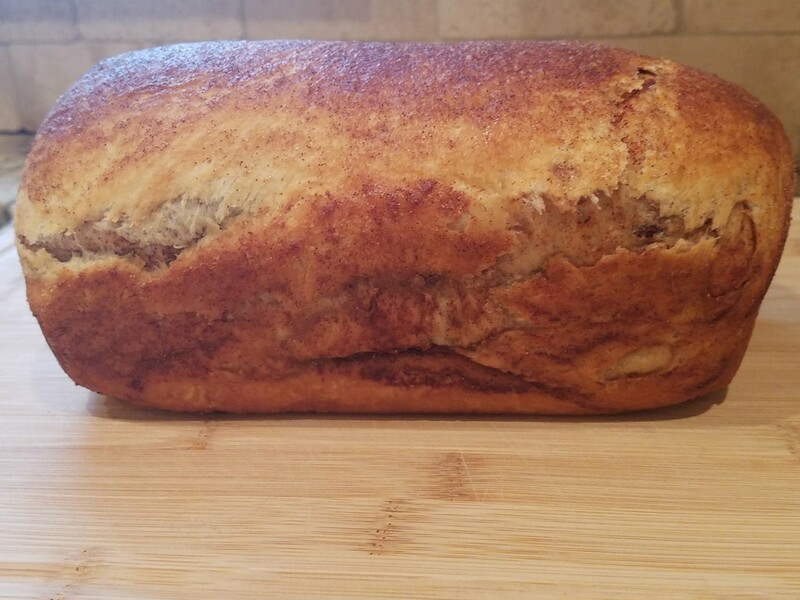 Warm, fresh, simple ingredients...absolutely delicious cinnamon bread that beats a store-bought loaf any day! 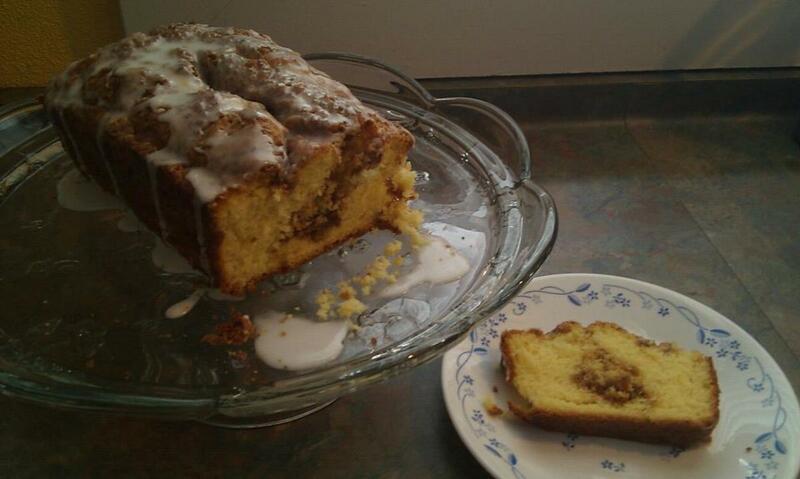 This recipe is free of most major allergens, with the exception of wheat. (Substitutions have been noted in case you do not need to avoid milk in your diet.) Hopefully you can share it with all of your loved ones. 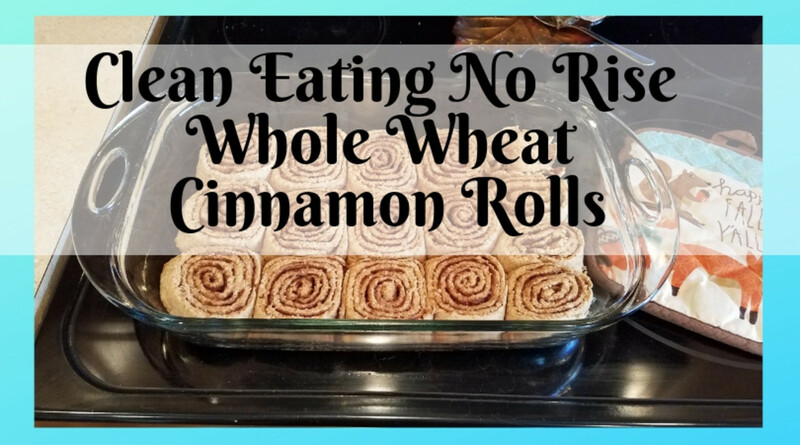 If you have a gluten free alternative or flour mixture that works well with this recipe, please share your thoughts in the comments! 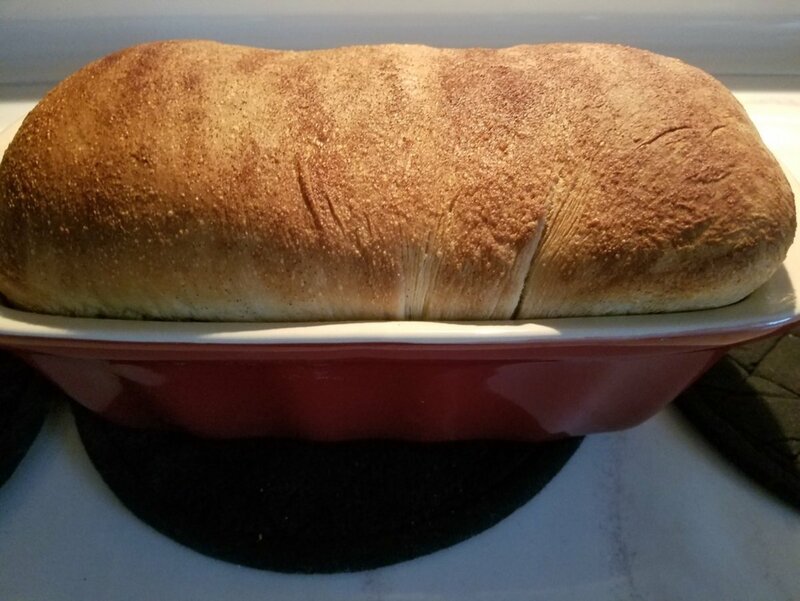 I take full advantage of my bread machine as much as possible, but alternatively, this recipe can be whipped up with a food processor (using the dough blade), or a stand mixer with the dough hook. 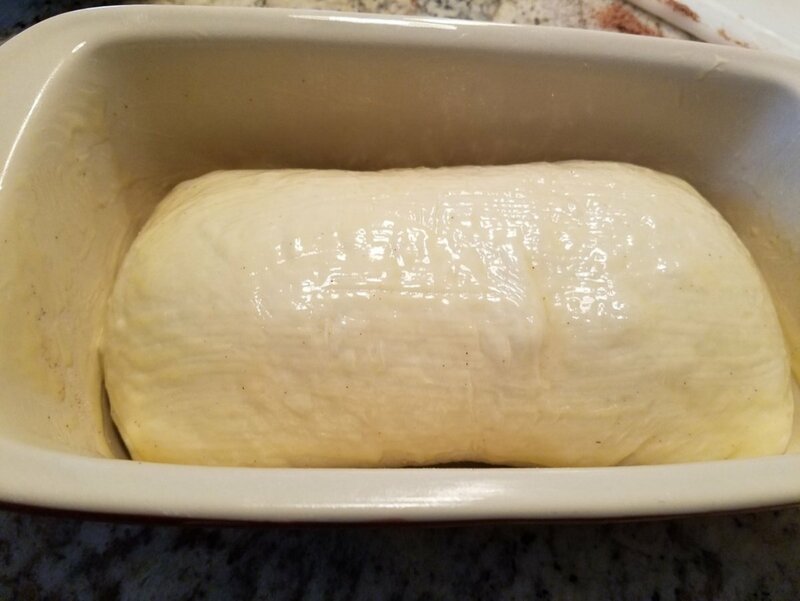 You will need a nice warm spot for the dough to rise and a bit of patience (which for me, is hard to come by when I can't wait to enjoy this bread!) 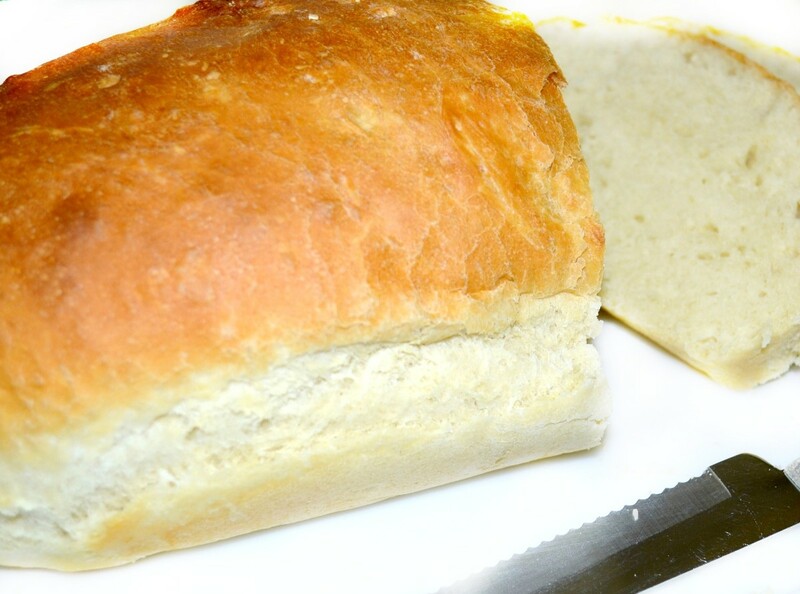 Regardless of how the bread is kneaded, it must be rolled and formed, and then baked in an oven. Start to finish, this process will take between 2 and 3 hours, depending on how you prepare the dough. *You may use dairy milk instead of water, and butter instead of dairy-free butter if you do not manage a milk allergy or intolerance. 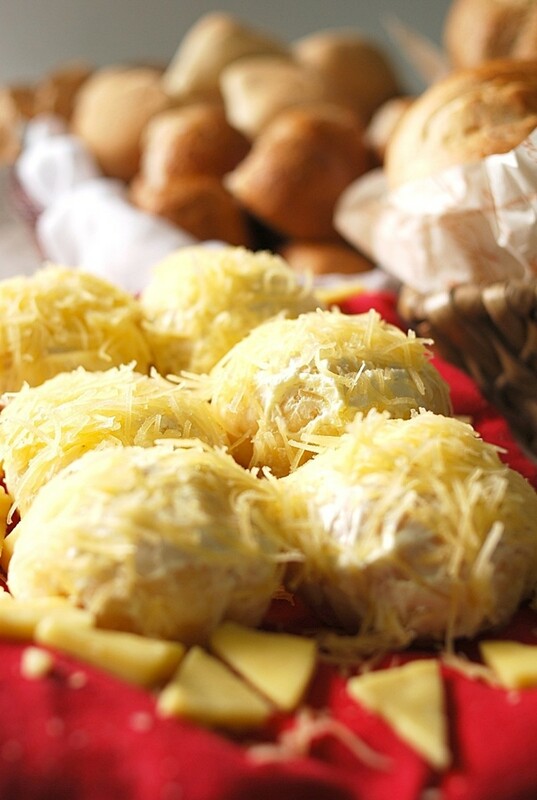 You have 4 options to prepare the dough: bread machine, food processor using the dough blade, stand mixer, or by hand. 1. If using a bread machine, follow your specific model's instructions regarding the order of ingredients. Typically, the liquids go in first, and then the dry ingredients. Then set the machine to the dough setting, and let it run its course. My bread machine's dough setting is an hour and a half of kneading and rising. 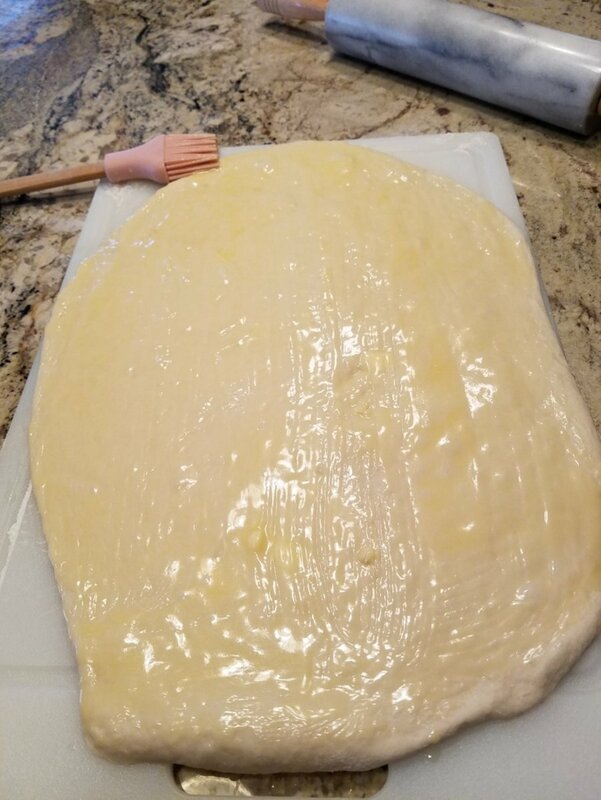 Once complete, you are ready to roll out the dough and no further kneading or rising is necessary. You can skip points 2 and 3 that follow in this section, and go straight to "Preparing The Filling & Forming The Bread". 2. If using a food processor or stand mixer, start by proofing the yeast in the mixing bowl that comes with your stand mixer or food processor. Warm up the water, add the sugar and stir to dissolve. Then add the yeast, and do not stir. Allow it to sit for 10 minutes. Combine this with the remaining ingredients, starting with the oil, then slowly adding the flour and salt, and mix well. The food processor will only need to run for a few minutes. The stand mixer with dough blade will need to run 10 minutes. 3. If kneading by hand, it may take longer. 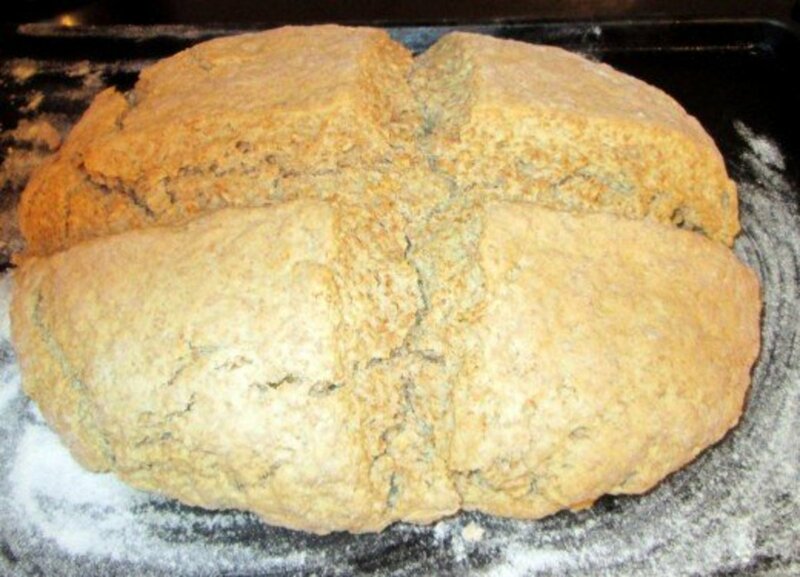 First, proof the yeast as described above. Then add the oil. Then make a pile of dry ingredients on a clean surface, and slowly work in all of the wet ingredients. Pre-warm and lightly grease a large bowl. Once the dough has been thoroughly kneaded either by hand or with the processor/mixer, form it into a ball and lightly grease it. Place it into the prepared bowl and cover the bowl tightly with plastic wrap. Place it somewhere warm to allow to rise for at least 2 hours. ​In a small bowl, whisk together 1/4 cup sugar, 2 tablespoons light brown sugar, 2 teaspoons ground cinnamon, and 1/8 teaspoon vanilla extract. Then sprinkle the mixture all over the dough, making sure to get to the ends as well. Be sure to reserve a little of this sweet mixture to sprinkle on top of the loaf too. 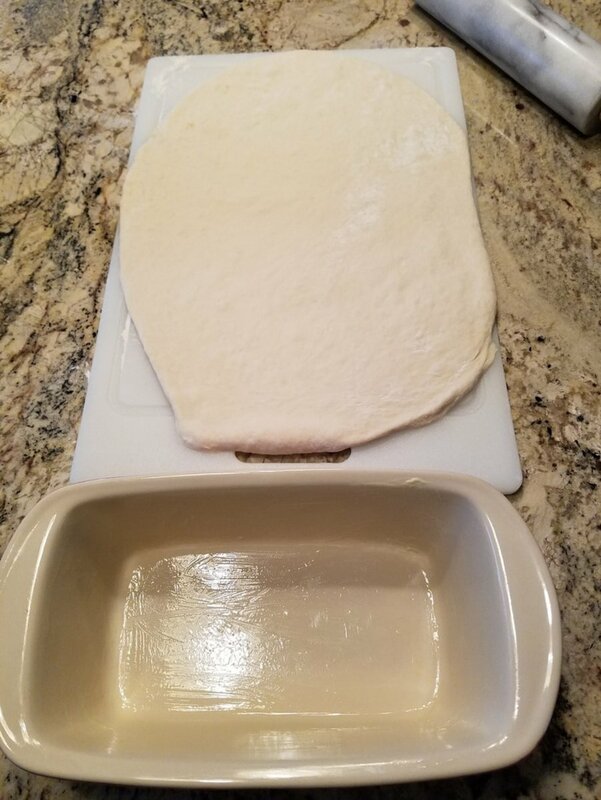 Starting at one end, roll the dough fairly tightly. 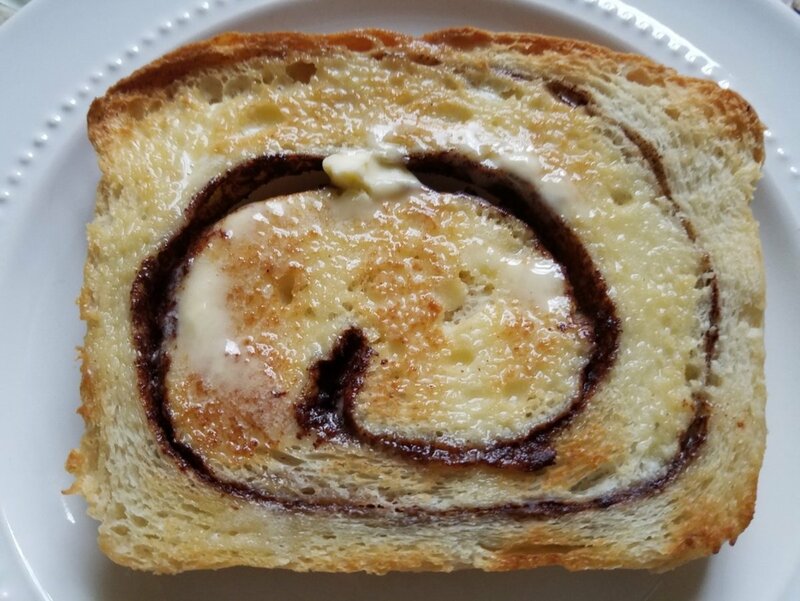 The tighter you roll it, the more swirls you will have! 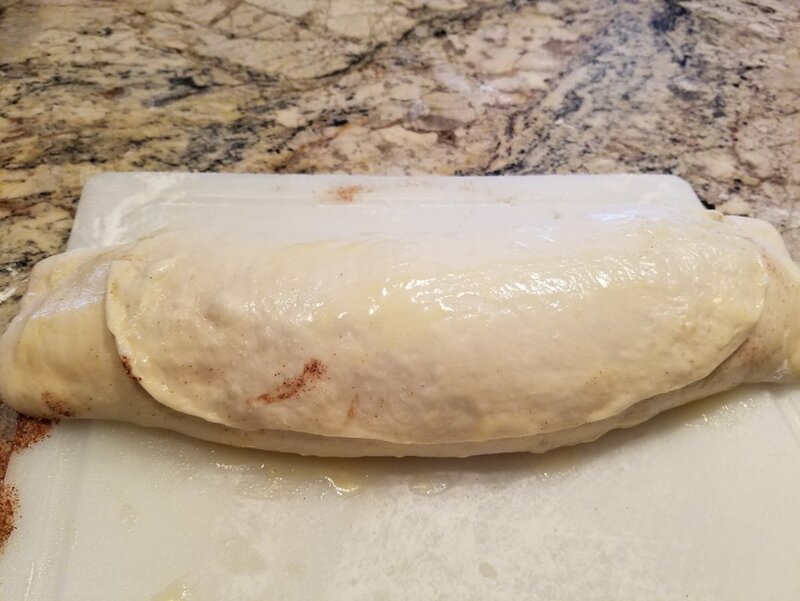 Take the seam, and stretch it towards the ends of the loaf. Ideally, you should be able to pull the seam down and outward to cover the two loaf ends. In this picture below, I hadn't stretched it over the sides yet. Next, flip the seam down so that it is inside the loaf pan, not showing. Then place the loaf inside the pan and fit it nicely. Then apply some more melted butter on top. 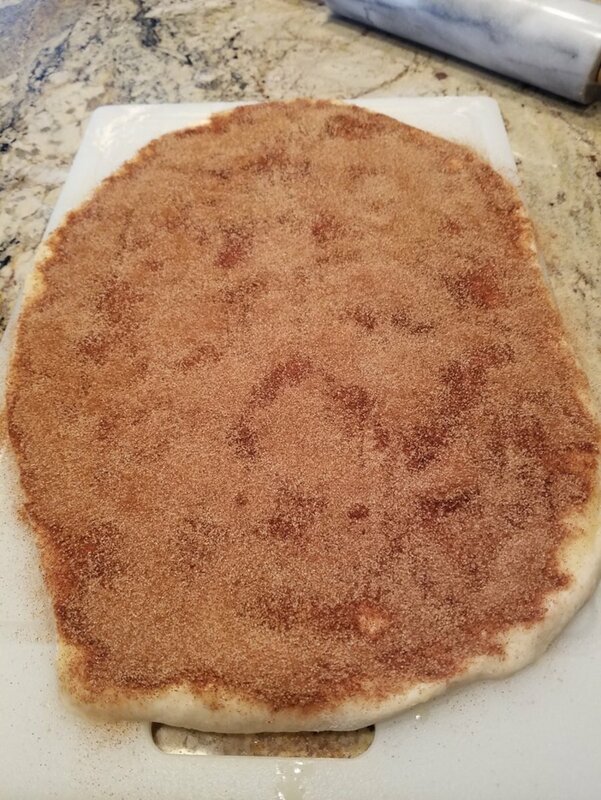 Sprinkle whatever cinnamon mixture is remaining all over the top of the loaf. The bread is now ready to bake! Bake the bread at 350 on a middle rack for 30-45 minutes. You may want to start checking it after about 20 minutes to see if the top is too browned. If it is browning too quickly, you can loosely cover the top with foil for the remaining baking time. Tap on the bread. It should sound hollow when done. If you're not sure, bake it up to 45 minutes. 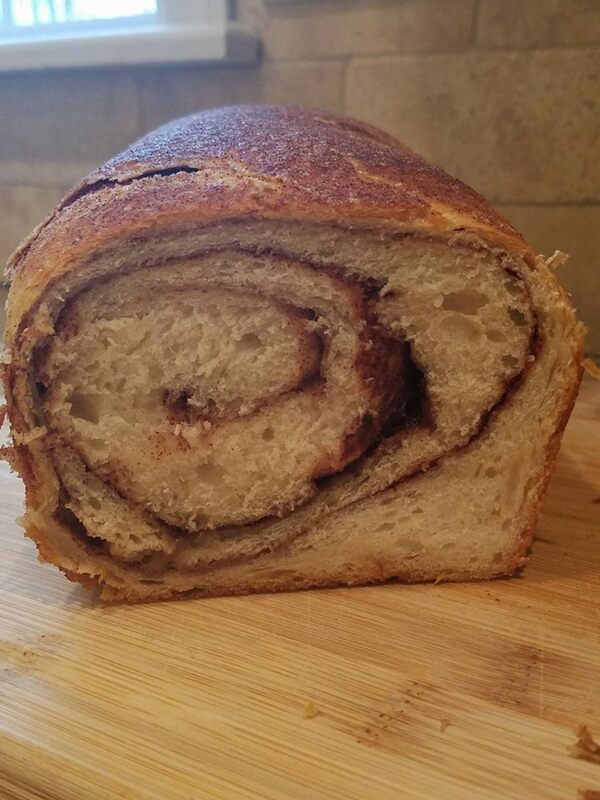 The outside may appear done, but the inside needs to bake enough to ensure the layers are not too doughy. Remove the loaf from the pan. Allow it to cool completely before slicing. Otherwise, it may flatten a bit or the swirls may start to loosen. The only drawback to this bread is that there never seems to be enough, and it goes way too fast! If you find yourself lucky enough to have some leftover, it can be sliced and frozen between sheets of wax paper in a storage bag. I hope that you enjoy this beautiful homemade treat with special loved ones! 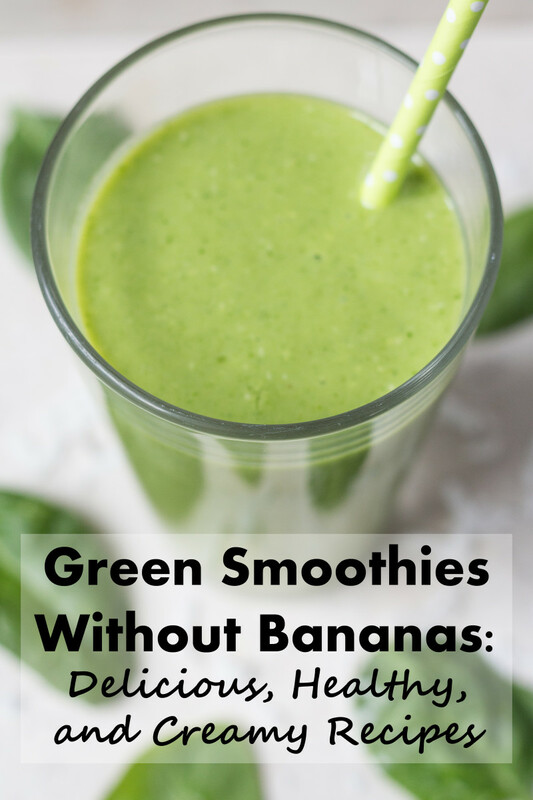 If you try this recipe, please rate it at the top of the page, and comment what you think of it. Thank you! Peachy, are you using warm water (100 degrees), and keeping the dough in a warm, moist place? Some people turn the oven on a low temp and then turn it off, put the dough in there and cover with a towel. If the temp is not right and also just the right amount of humidity, it won't rise. You also need sugar, are you always adding sugar? And lastly, I always buy the rapid rise yeast. 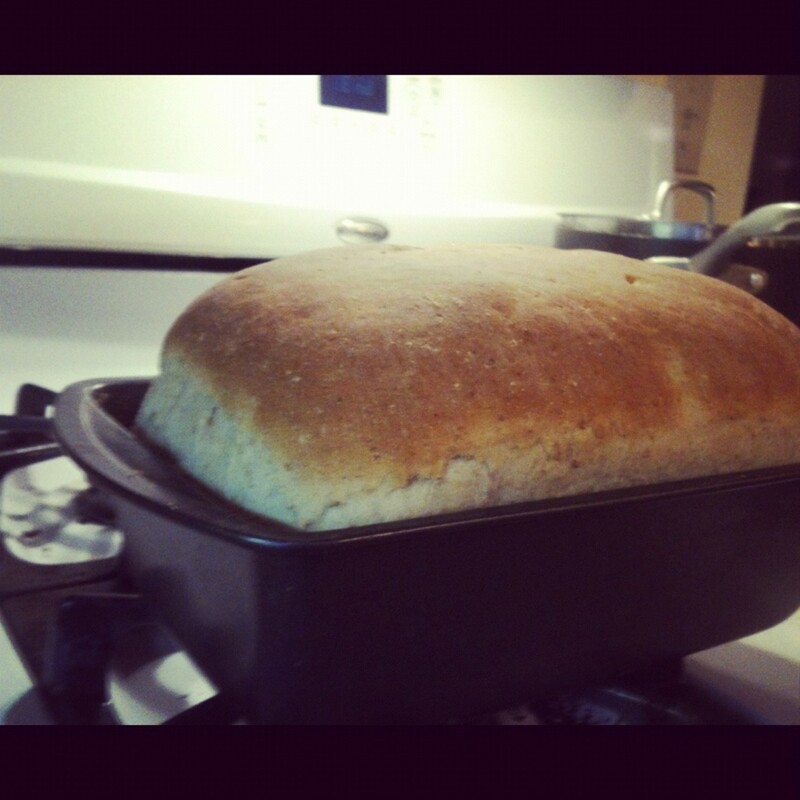 My bread never double its size even with the yeast, why?